Table number will be posted here! any additional signatures are $5 each. CGC or CBCS signatures are $15 each. Hey Philly, We weren't born and raised, but at the convention we will spend all 4 days! C2E2.. we can't wait to see you again! Washington DC, come see what we have for you! It's our first time at Emerald City Comic Con, we can't wait to see you! 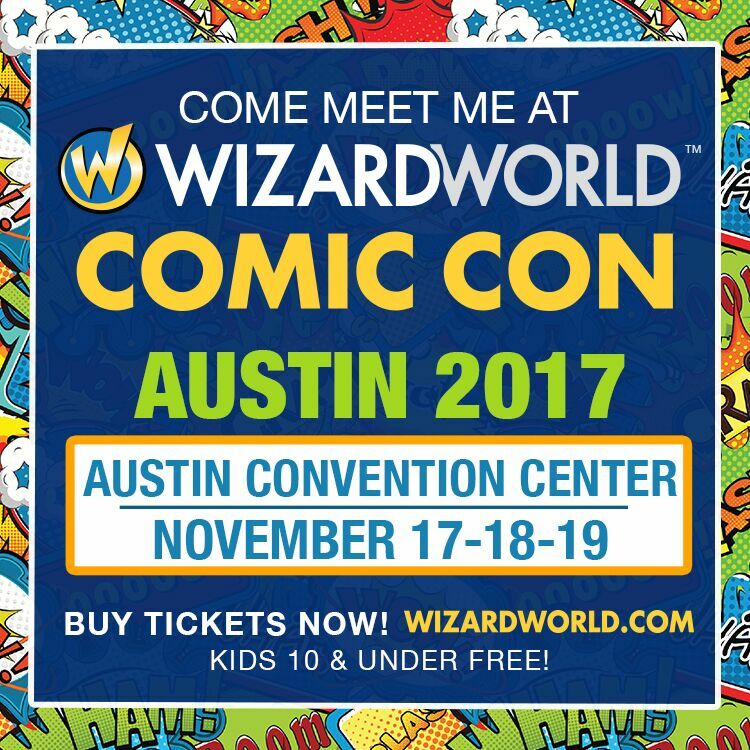 Come see us in AUSTIN!! Use code GLAPION at checkout to receive 20% off your tickets! Jonathan will sign the first 3 books for FREE, after that it is $5 per book. All CGC signatures are $5, I'm a certified witness, so no need to track one down! As soon as we receive table numbers, we will post here! -Your mom. JK, I mean, unless you bring her with you! Jonathan will sign the first 3 books for FREE, after that it is $5 per signature. We can't wait to see you at NYCC 2017 (Table E4)!! Are you ready for Batman Day?? Can't wait to see you for Batman Day! Worcester, we will see you soon!! Come see what we will bring to HeroesCon 2016! See ya there! Come see all our goodies or just say hi! March Madness Sale is HERE!! Still need gifts? Come see our End of the Year Sale! Come see us at Alamo City Comic Con 2016 for some Original Art, Fine Art Prints, FREE signatures, and much more! Can't wait for another great show! We will have a table in Artist Alley selling a selection of authorized DC Entertainment Limited Edition prints, as well as, Original Art. What to expect at our table. Free - you can have up to 10 items signed per day. Limited Edition high quality fine art prints (the only place I'm authorized to sell DC licensed prints is at live events, so don't miss out). Batman (Court of Owls & Death of the Family) Original Art and much more.